These were great deployments for Movers as it was always a challenge to see how many vehicles you could cram onto the aircraft. The Mini on the ramp was always a winner. Kids depositing their lunches into bags was the loser though! I think most of the Andovers were sold to a company working for the UN operating out of Africa. As for the C130, we still have ours, unlike your “Fat Alberts” going to the scrap heap. It’s a pity ours are not joining them. The RNZAF mystery photo is of Andover aircraft (in their kneeling position) and a C130 at Woodbourne Air Force Base in Blenheim which is a training base at the top of the South Island; a very nice wine growing area. 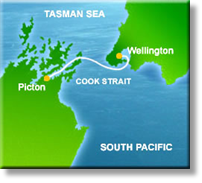 The photo would have been taken during Operation Pluto which was an airlift operation conducted when either bad weather or industrial action prevented the passenger and vehicle ferries operating between the North Island (Wellington) and the South Island (Picton). Back in the 80's & early 90's the Cook Straight ferries were renown for strike action and the RNZAF was called upon to form an air bridge between the North & South Islands. The picture shows three Andovers (ex RAF) and a C130 ready for action. 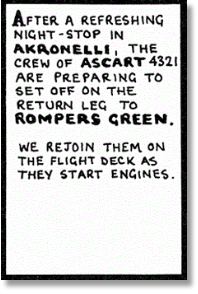 The Andovers usually carried two vehicles & 12 pax per sortie. Can't recall the optimum C130 loads. 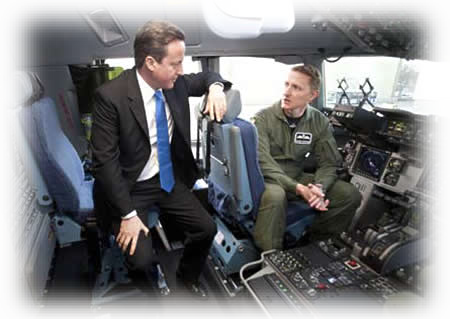 Prime Minister David Cameron has made a visit to RAF Brize Norton to see the latest addition to the RAF C17 fleet just as a mercy mission was being flown to help flood victims in Columbia. The arrival of the seventh Globemaster aircraft which will increase the RAF’s lift capability and support to operations touched down at the Oxfordshire Station recently. 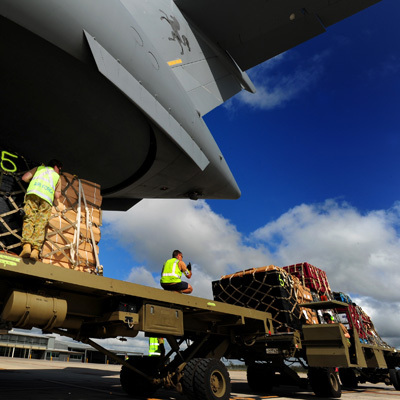 UK4 from 99 Squadron was flying tents and vital supplies to the South American country for those affected by the flooding that has been described as the worst in Columbia’s history. UK4 delivered humanitarian aid - to Columbia where 400,000 homes were destroyed and hundreds of lives lost during the flooding and at the end of last year carried out a similar mission to Pakistan. 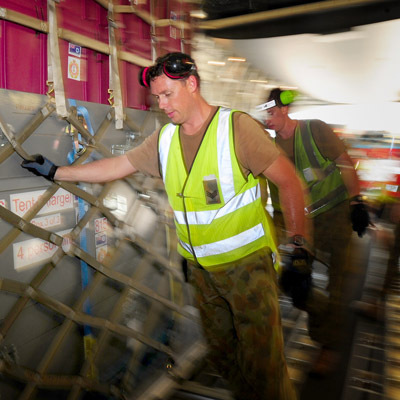 Such is the ability and demand on the Boeing-made C17 to carry a variety of loads - from troops, freight, or aircraft to main operating bases anywhere in the world - that as the Prime Minister was given a guided tour over the new ZZ177 (or UK7) aircraft UK4 was headed out. A host of dignitaries from the RAF, including CAS Air Chief Marshal Sir Stephen Dalton, and makers Boeing witnessed the arrival of ZZ177 to the UK. CAS ACM Sir Stephen Dalton said: “This is a tremendous new asset for us mainly because it gives us a distinct increase in availability as we are now flying these aeroplanes, and have been a for a very long while, at a very high rate of hours. 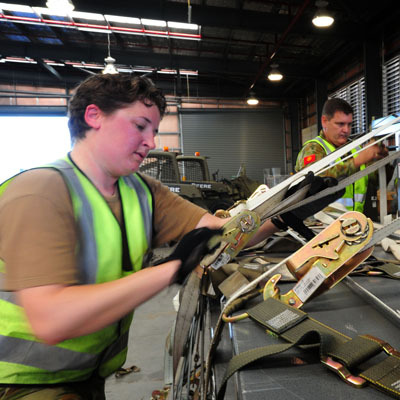 "The new C17 gives us the ability to maintain that level of output which otherwise we would have to start cutting back on, at the very time when that support needs to be maintained. The cavernous interior of the C17 means less has to be dismantled on outsized loads so the reassembling process at the point of delivery is far more rapid. 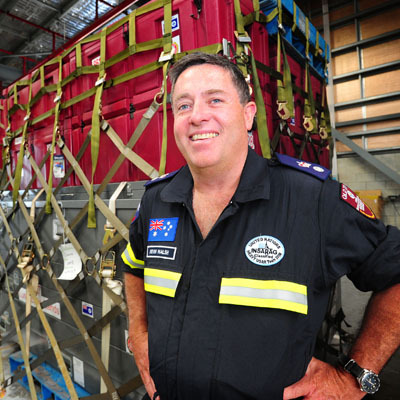 In the case of helicopters that are transported, this means they can be operational in a far quicker time. The C17 also acts as a flying hospital with Critical Care Air Support Teams (CCAST) to get injured troops back to the UK safely for emergency treatment. Reference the mystery photo, are the two guys Bob Thacker and Tommy Blues? I don’t recognise the place though. 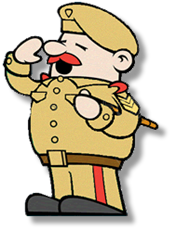 Tony the Corporal is Tom Blues and the SAC is Bob Thacker. 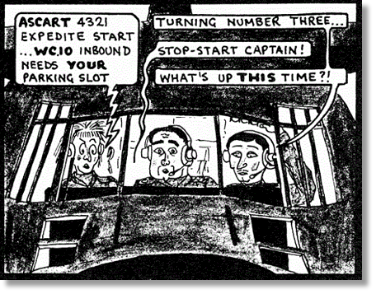 While I am writing I remember the C130 at Tromso being there at the time if I remember rightly the Imprest Officer broke some fingers as he went forward into the back of the Air Engineer's seat on the flight deck. Also on board the 3-Tonner was the duty free and again I think we were told that the only damage was the fact that some cans of beer had exploded. At least that is how I remember it. I know we flew back on a Herc to the UK not long after. At the time I was on India Team with Charles Collier and others. An easier one this time I think as it has Tommy Blues and Bob Thacker but at a guess it could be in Scotland and near Kinloss/ Lossiemouth area. 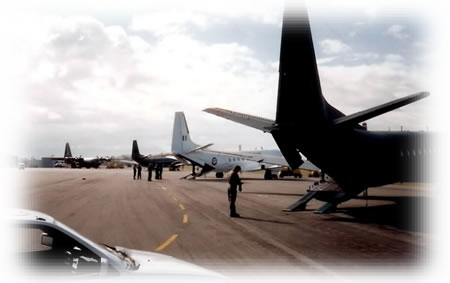 The RNZAF one appears to be taken at Whenuapai. Is the Cpl. Jock Blues? Definately a mystery to me and I'm in it! 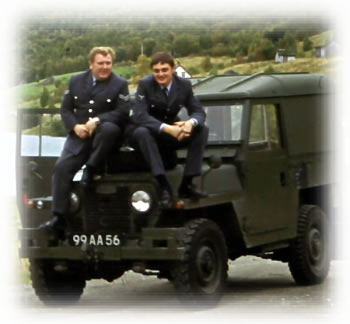 It’s Corporal Tom Blues, me and a short-wheelbase Land Rover. Other than that I haven’t got a clue. I guess it would have been Kilo Team in 1971/72... but we look exceptionally smart for a MAMS team... must have been a VIP job somewhere. I have a vague recollection of a trip to Turnhouse so it may be 'somewhere in Scotland'. Incidentally, I was at Tromso when the C.130 crashed... minding my own business when bits of aircraft came flying over the hedge! The crew got out so fast they left an engine running and a techie went back in to shut it down. You certainly did a good job loading as the 3 tonner was (I think) full of duty free booze and I did subsequently hear that not a bottle was broken… broken hearted MAMS team because it couldn't be touched until the investigators came out! The Norwegians weren’t too happy as it was parked over the main water supply pipe for Tromso. All the Best and thanks for all your hard work. 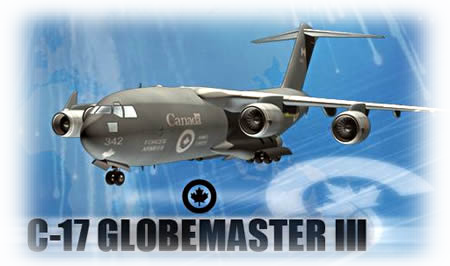 C-17's help Canadian Forces deal with banishment from UAE. Aboard Canforce 93 — The lights of ultramodern Dubai dazzle below and Canada's former logistics base, Camp Mirage, can be seen in the distance, as the Canadian air force C-17 Globemaster transport flies over the tiny emirate on a circuitous journey from Kandahar to its new hub at a U.S. airbase in Germany. Nor, they said, will it delay plans to bring home about 3,500 troops and thousands of tons of combat gear later this year in what is being described as by far the biggest airlift in Canadian history. "It would be nice to have something closer (than Germany) but having the C-17 gives us the option to do something else," said Maj.-Gen. Yvan Blondin, commander of 1 Canadian Air Division in Winnipeg. "If we had lost Mirage without the C-17, we would be in a world of hurt." 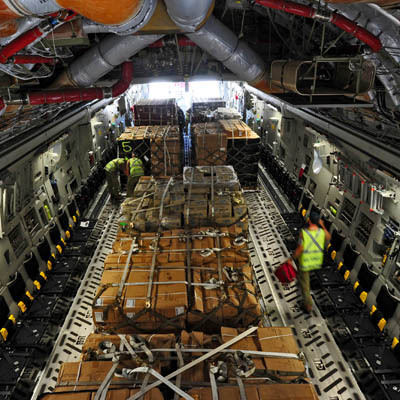 Depending on how it is configured, the Globemaster can carry a 60-ton Leopard 2 tank or three Griffon helicopters, four sea containers, 18 pallets of cargo or as many as 177 passengers. "It's a loadmaster's dream," said Sgt. Chris Chisholm of Saint John, N.B., who is responsible for cargo and passengers. Lt. Col. Jason Stark oversees the 80 troops who have been running Canada's new German hub at Spangdahlem, near the Luxembourg border, since before Christmas. He is to take command of the C-17 squadron this summer. "Whatever inconveniences there are for the air force because of closing Mirage, it is irrelevant," said Stark, who was once stationed at the base in the U.A.E. "There has been no interruption to sustainment and support to Afghanistan." The concern at Kandahar was that the closure might have an impact on operations or morale because it takes soldiers going on leave longer to reach their destinations, but "neither has been affected at all," said Col. Richard Giguere, deputy commander of Task Force Kandahar. "Not having Dubai has shown the flexibility and impact that these aircraft can have." Looking ahead to this summer and fall, when hundreds of armoured vehicles and other equipment must be returned to Canada by air and sea, Blondin said: "This is a staggering task that will push to the limit the strategic lift capability that we have built." Soldiers returning to Canada as the combat mission winds down, as well as those going on leave, are being funnelled through Spangdahlem. 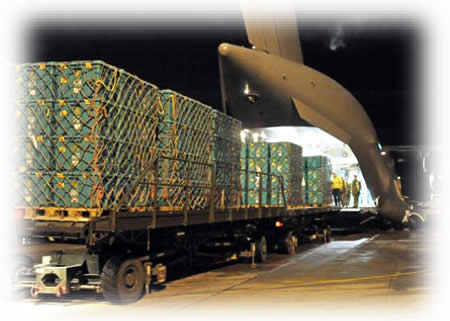 As well, beginning this spring, two C-17s will run two daily cargo shuttles between Kandahar and, most likely, Cyprus, where vehicles and sea containers will be transferred to freighters for the final leg of the journey to Canada. Curiously, despite the enormous amount of attention that Canada's quarrel with the U.A.E. has received, relations between the two countries remain good enough that Emirates Airlines and Etihad Airways continue to operate six flights a week to Toronto. The two carriers have another dozen daily flights to the U.S. Their aircraft collectively spend approximately 80 hours in Canadian airspace every day. Those flights, which would cost Emirates and Etihad many hundreds of millions of dollars if they had to avoid Canadian air space, are the reason Canada may now have the upper hand in the dispute, although there is no evidence that Ottawa wishes to exercise this option. The U.A.E., in effect, lost its only trump cards when it banned flights from Mirage and slapped a visa requirement on Canadians. When Canforce 93 flew over Dubai last week, the exchange between the air traffic controller and the pilots was crisp, courteous and professional. Laughing, Maj. Matt Jarrett, on exchange from the United States air force, said he much preferred this complicated trek, which took the C-17 south, west and then north to avoid Iran, transiting through the air space of 14 countries including Pakistan, Oman, Saudi Arabia, Greece and the Czech Republic, to his last deployment. While bringing supplies to Canadian troops at the world's northernmost airstrip at Alert, Nunavut, in December, the C-17 he was piloting got stuck in snow during a fierce windstorm after landing at Thule, Greenland. Canada has been seeking another base in the Persian Gulf to replace Mirage. 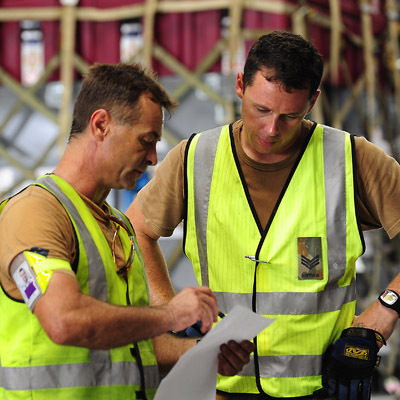 Senior officers have recently visited several Gulf states, where the U.S. shares airbases with the locals. "I know (the Defence Department) and (Foreign Affairs) are discussing a number of options," Blondin said. "But I have been told not to count on anything before the summer, so I am not counting on anything else for this operation. If we can find a closer base, it would be easier. Wherever we have our hub, we will base the C-17 aircrews at Kandahar so that we do not have any limitations." In a move that could save "hundreds of millions of dollars," fewer than half as many Soviet-made Antonov jumbo jets as initially planned will be chartered to assist with the mission closeout in Kandahar, Blondin said. By shifting crew and maintenance scheduling a little, the C-17 will be able to do more flights than originally anticipated, he said. The former fighter pilot said the air force was not studying what more C-17s might cost to purchase but "certainly if I had more C-17s, it would help the way I do business . . . 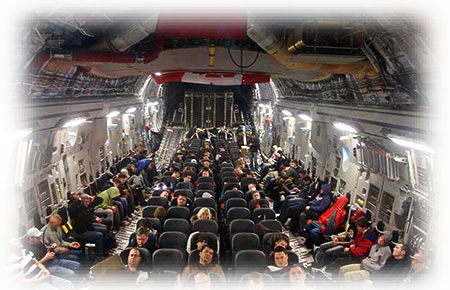 I don't know where they are in Ottawa (on this), but I would assume they would have someone looking at how much we are paying for cargo that is chartered and whether there would be a business case for (more) C-17s." The quartet of mammoth, low slung C-17s that Canada is counting on to do most of the heavy lifting out of Kandahar later this year cost about $300 million each. The aircraft, which can carry 164,000 pounds of cargo and have eight dark grey Maple Leafs painted on their grey fuselages and tails, entered service late in 2007 and in 2008. 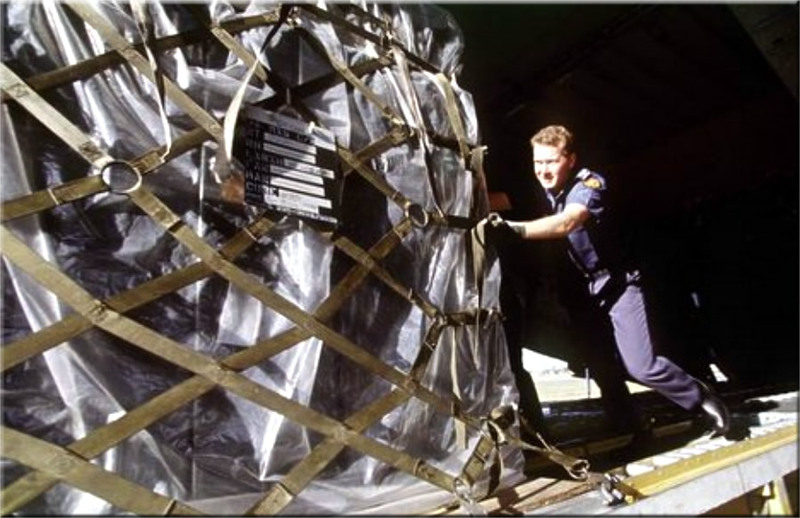 Canada's fleet of C-130 Hercules only carry a fraction of the cargo at much slower speeds, over much shorter distances. "The C-17 is a game-changer for us because it adds a dimension we have never had before," Blondin said. 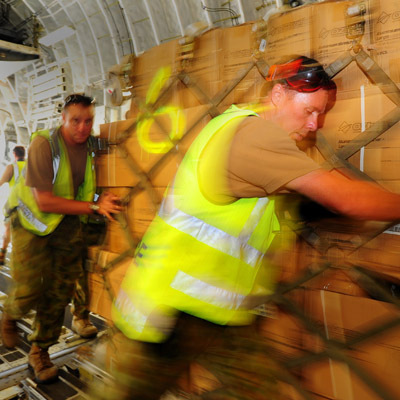 Logisticians in Kandahar and Ottawa continue to crunch the numbers, but according to several military sources it will take the equivalent of about 1,200 sea containers to get all the war kit from Kandahar to Cyprus, where it is to be loaded on to freighters for the sea journey home. 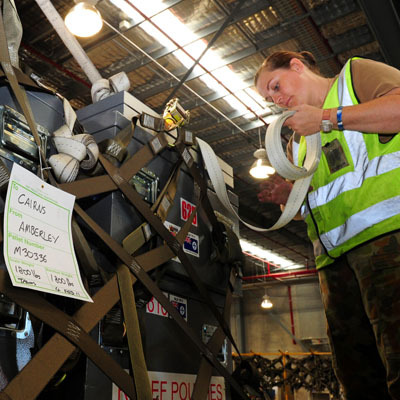 Depending on the size of the containers, C-17s can take three or four containers at a time. 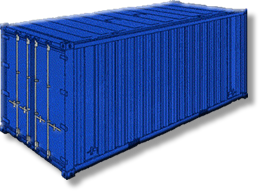 Another 300 sea containers of non-sensitive materiel will be transported by truck through Pakistan to Karachi for the sea journey to Canada. Those flights have transported more than 36 million tons of cargo and nearly 250,000 passengers — an operation that involves as much as one-tenth of the air force's personnel at any one time. At the same time, it was heavily involved in Canada's airlift to Haiti after the earthquake there more than a year ago. 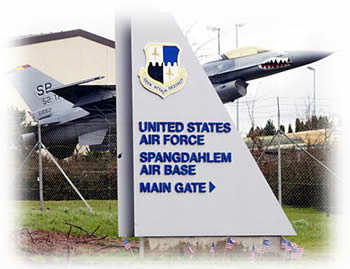 "This is the biggest operation I've ever seen spanning such a long distance for such a long period of time," said Stark, who oversees Canada's operation at Spangdahlem and was once based at Mirage. "What the air force is doing is making this seamless for the soldiers on the ground." Despite having been banned from landing in the sheikdom last November because of a high-profile dispute between the two countries over commercial air-traffic rights, several Canadian flights a week still pass through U.A.E. air space for about 20 minutes. The military insists that losing access to Mirage has had no effect on the 12,000-kilometre air bridge between Canada and southern Afghanistan. Just a quick one regarding the resting place of the famous "Fat Alberts." I travel past Hixon airfield most days on my job with Age UK. At first I thought the 2 there were the training mock ups, like the one at the R.A.F. Movements School. I now hear the complete fleet might end up there, this is very saddening as it will be to most Herc aircrew and Movers alike! What at first blush had all the makings for a "Boy's Own" adventure turned out to be a bit of a nightmare for our gallant Gerry. I guess at the end of the day we can write it off as a character-building experience! Upon reflection I did not enjoy this detachment which started off with a trip to El Adem in Libya on a Hastings of 70 Squadron. After loading fruit, vegetables and meat carcases at Nicosia in Cyprus, we set off for a round trip. The plan was to drop the load off at El Adem and return the same day, on the same aircraft, to our base in Akrotiri. 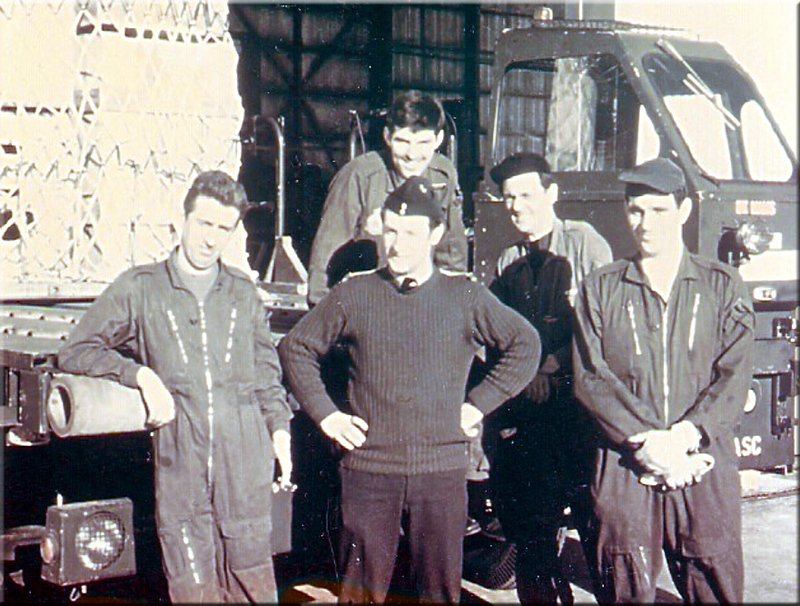 We had a full team which consisted of an Officer, a Flight Sergeant, a Sergeant, a Corporal and two airmen. On arrival at El Adem we offloaded the aircraft and commenced with the return load. During all this activity, our Officer received a signal notifying him that he was called as a witness for a Courts Martial and was booked on the British Eagle BAC 1-11 from El Adem to Malta. Some military passengers were caught smuggling contraband on one of his previous trips to Malta. The signal also indicated that the remaining team members were to stay at El Adem and await further instructions. A few days later, after having helped the El Adem Air Movement’s Section turn around some of their aircraft, we were instructed to board a Pembroke aircraft to transport us all to RAF Idris near Tripoli. This RAF base was in the later stages of closing down and there were very few RAF personnel left there. Before getting on the Pembroke the Flight Sergeant, who we affectionately referred to as ‘Bo-Diddley’ was told to report back to base as his wife had been admitted to hospital with a broken ankle. Later it transpired that she was ejected off of a local bus from Limassol to Akrotiri after, ‘allegedly’ tasting a large portion of the fruits of the vine and causing a fair old rumpus. The plot thickens. We arrived at Idris to find the place in a shambles. Gangs of locals were breaking into all the ex-RAF buildings, stealing anything that they could get their hands on. Carts pulled by donkeys or camels were all over the shop. We were greeted with another signal that the pilot of the Pembroke was to fly me, the Corporal, back along the coast to Benghazi. The Sergeant and the two lads were to remain and deal with the Hastings. The Sergeant was not happy about this; I guessed it was because he would have to complete the trim sheet and the manifests instead of his usual self-imposed position of standing around looking pretty. I felt for those two poor lads. Their plight was nothing as compared to what awaited me! On arrival at the civilian airport of Benghazi, the Pembroke did a quick turn round and left me on my lonesome. A nice Arab gentleman-handling agent greeted me with a signal from Cyprus informing me that I was to await the arrival of a Beverley on that day and offload the aircraft, which was full of loose loaded cargo for the British Army garrison. I also had to liaise with him on the hire of a forklift and local labour. I was then to board the Beverley, and be taken to Malta. The aircraft captain informed me, in no uncertain terms, that he was going direct to Abingdon. He suggested that I could either come with them or stay in Benghazi! I was bloody upset. I nipped over to the handling agents shack and whipped off a signal (‘F Sigs. 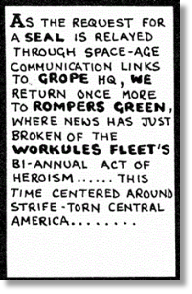 52’) to be sent to the Joint Services Movements Centre H.Q. at RAF Episkopi, informing them of the situation and pleading with them to sort it out. An Army 3 tonner arrived with freight to go back to the U.K. Also to collect the inbound load, driven by an Arab, and escorted by an Army Staff Sergeant immaculately dressed in his pristine KD complete with a red sash. He seemed to be in an awful hurry, and asked to speak to the officer in charge. I told him that it was me and suggested to him that his outbound cargo on the lorry would have to be offloaded onto the ground first, so that we could offload the inbound cargo directly from the aircraft onto his lorry. “You had better get on with it then,” was his reply! 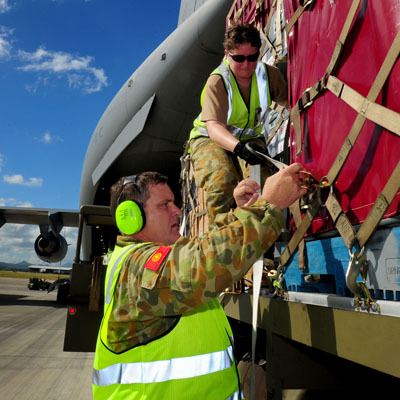 I had no choice but to offload all the freight off of the aircraft onto the pan, suggesting to the Staff Sergeant that he arrange with the Agent for labour to load his vehicle after we had gone. He was furious, asked for my ID and wrote my name down. I really wasn’t able to achieve much during all these distractions. I helped myself to lots of water from the aircraft flasks, boy, was I thirsty; the sweat was pouring off of me and I hadn’t eaten for quite some time. The crew came back and the aircraft was not ready for the off. Yes, it was entirely my fault! What had I been doing all this time? The Staff Sergeant had a go at the crew about me, but fortunately they ignored him. I had to fill out the air waybills, manifests and the aircraft trim sheet together with another F.Sgs 52 with flight/load details, to be sent to Cyprus and the aircraft’s home base of Abingdon. The Beverley Captain had by this time obtained his weather reports, etc., and had been given a reply to my signal from Episkopi. He was told to keep to the original schedule and drop me off in Malta. He was not amused! They wanted to get back to their base for some ‘Do’ or other and did not want the further delay in getting back as they knew that Air Movements at Luqa, would want to put further passengers and cargo on the aircraft. The aircraft took off before I had finished tying the cargo down and I had to complete this job before the AQM would consider giving me anything to eat. That ‘something to eat’ eventually turned out to be a cup of soup. He said that they had not catered for passengers! I felt like a leper and was left alone in the boom of the aircraft for the rest of the flight. I got the impression that MAMS personnel were not on his Christmas card list! I was unable to clean myself up before our departure; I was tired, hungry, dirty and skint. On arrival at RAF Luqa in Malta, I introduced myself to the Air Movements Section and asked for help in getting back to Akrotiri. No one was interested or helpful there either (other than to ask me to help them out whist I was there!). I was told to get myself into the transit accommodation, which was absolutely horrible, and come back the next day. After three days of this I was pretty much fed-up. No money and no one interested in my desire to return to base at Akrotiri. By this time I’d had enough and my moral was at rock bottom. Eventually I was given a seat on an Andover 748 to Akrotiri. The allocated seat was at the very rear of the aircraft, amongst the mail. I sat there freezing; I could stand this no more and went forward for a trip to the loo. As soon as I left my seat and went a few paces toward the front of the aircraft I felt the heat and warmth come back to me. The aircraft heating didn’t reach the back where I was seated. On arrival at Akrotiri, tired hungry and in need of a change of clothes, I was met at the aircraft steps and told to get back to work the next day as we were off again. I even had to scrounge a lift the 18 miles into Limassol to get home, as I had no money for the bus. The wife was pleased to see me for these few hours. 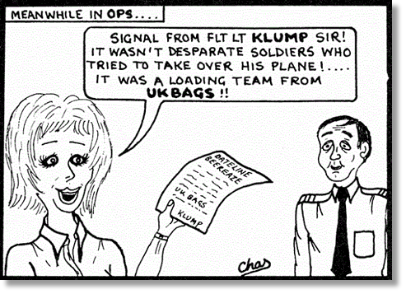 This was the sort of detachment that did nothing for my moral and only increased my desire to leave the Royal Air Force on completion of my engagement. I did not feel as though I belonged to a caring organisation. The badges of rank on one’s arm is the deciding factor in your treatment, your accommodation and well-being. 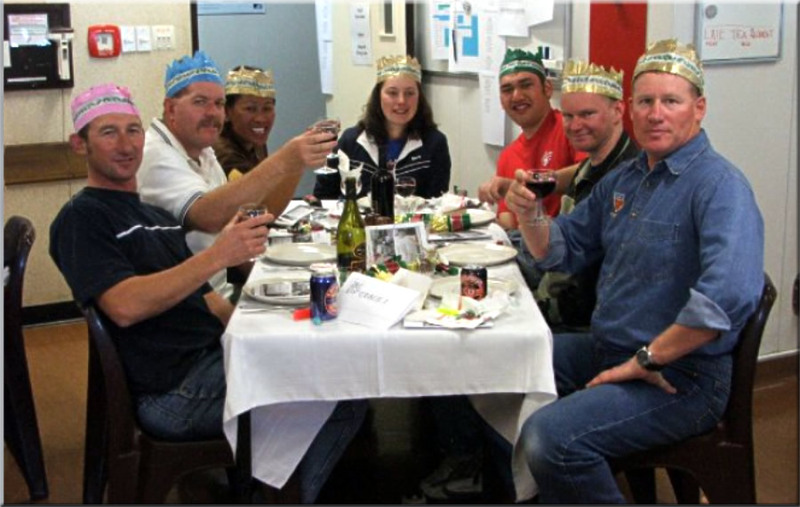 As a member of a team things got sorted reasonably quickly, as an individual things were a lot different. Back at base my concerns fell on deaf ears. No wonder there was a large turnover of all ranks on the Section. Every Friday lunchtime a number of us meet in a local pub and we are known as the “Gardening Club”. A few years ago I mentioned in one of the briefs that whilst I was in Canada I never found a decent tasting beer and it would appear it was much the same when he was there; he noticed that there was always salt on the table and the locals would springle their drink with salt. He asked me if I knew why and all I could say "well it didn't improve when I was there" it was still tasteless !!!! Any idea why salt? It sounds a bit grim to me do they still do it? I don't know if they still do it, but it was common practise when I was a lad. You either licked your index finger knuckle and sprinkled it with salt, licked it off and swigged beer, or shook it directly into the glass. I thought it was to increase the aeration and sharpen the tang, so to speak. I did a little follow-up research myself on this one and here's what I discovered: Salt was added for flavour as post-prohibition (1933) beer had turned into somewhat of an ugly being. Breweries had to cut costs and started to use cheaper ingredients like rice and corn, which made for a nearly flavorless beer. These beers are still around, though most people have become accustomed to flavorless beer and so have no need for the salt. No one will have been more delighted with the Government’s decision to scrap the RAF’s Nimrod maritime patrol aircraft than the commanders of Russia’s nuclear submarine fleet. The Government is determined to plough on with the destruction of the Nimrod, saying it will save £2 billion over the next decade. For nearly forty years attempts by Russian submarines to penetrate Britain’s military defences have been routinely thwarted by the highly trained RAF air crews that operate Nimrod’s sophisticated surveillance systems. As well as being able to track and detect the movement of enemy submarines, Nimrod also provides vital cover for the Royal Navy’s fleet of Trident submarines, which is responsible for maintaining Britain’s nuclear deterrent. But by deciding to dispense with the new generation of Nimrod MR4 maritime patrol aircraft as part of the cuts to defence spending, the government has effectively abandoned control of the North Sea and other vital shipping lanes to the Russians and any other nation with an interest in undermining Britain’s naval supremacy. Admiral Sir Mark Stanhope, the First Sea Lord, said he was “very uncomfortable” when the government first announced its decision in October to dispense with the RAF’s fleet of dedicated maritime reconnaissance aircraft as part of the Strategic Defence and Security Review. But in private senior officers are far more forthright. One senior officer recently confided that the decision had inflicted “untold damage” on Britain’s ability to defend itself against a wide range of threats, from detecting enemy submarines to eavesdropping on terror groups plotting attacks against targets in mainland Britain. Apart from maintaining 24/7 reconnaissance patrols over the North Sea and other key shipping routes, Nimrod has also been deployed to Afghanistan where it proved to be highly effective at monitoring the activities of Taliban commanders. 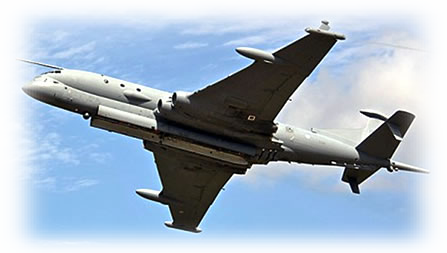 Ministers insist that, in order to meet the Treasury’s demand for deep cuts to the defence budget, they were left with no option other than to cancel the order for nine Nimrod MR4 aircraft. They point out that the project was already more than a decade behind schedule and costs had spiralled to nearly four billion. With other Nato countries in Scandinavia maintaining constant reconnaissance patrols over the North Sea and northern Europe, defence officials say they are confident that there will be no lapses in maritime cover. They are also exploring the possibility of renting reconnaissance aircraft from the U.S. Air Force, as well as building a new generation of unmanned drones that would fulfil a similar function. 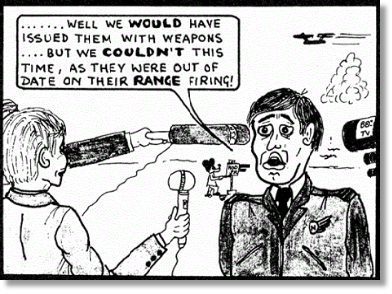 But senior RAF officers believe none of these options will compensate for the loss of the expertise and skill that has been acquired by the Nimrod crews over the past four decades, and have now been consigned to the scrap-heap. Another cracking, informative issue: thank you. 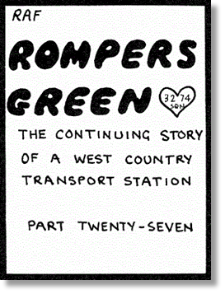 Mention of Amberley stirred the little grey cells about an incident of some 45 years ago. At a time before MAMS I was supposed to be employed in SCAF at Changi, but as the number 2 and single I was easily detachable. 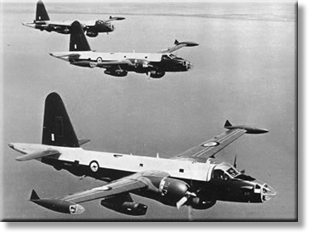 One such was a 6-week deployment with a couple of lads and a pile of boxes disguised as a three Shackleton MR2 FAP to RAAF Townsville in 1965. 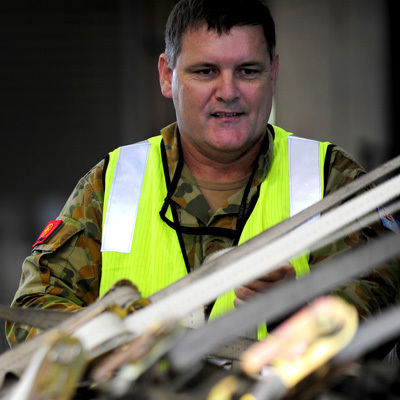 The experts soon had things sorted out leaving me somewhat superfluous, so I sort of ‘detached’ myself to the RAAF, as they were a bit short of qualified movers. My ‘try out’ was a short C-130 detachment in support of 3 Neptunes to RAAF Amberley for a couple of days. On the first evening our aircraft were put to bed in a nice neat line wing-tip to wing-tip. It was a bit of a shock in the morning to discover the 3 P2Vs still in a nice straight line but parked nose to tail! A sudden squall had passed through the base during the night causing all three aircraft to jump their chocks, weathercock and rearrange themselves in a neat line ahead, and without so much of a scratch of paint. 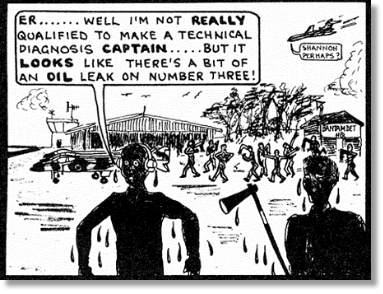 I must have passed ‘the test’ because a couple of weeks later I went off to Lea in Papua New Guinea for a few days as an RAAF detachment supply & movements officer. There has been some regional media coverage regarding the future of RAF Kinloss and RAF Marham. RAF Kinloss is no longer required as a main operating base and will close as a RAF unit. The airfield at Kinloss will cease to function on 31 July 2011, with the actual drawdown of staff working at RAF Kinloss taking place over years, completing in 2014. More details will be provided as soon as they are available. 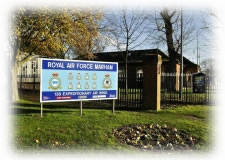 With regard to RAF Marham, Minister for the Armed Forces, Nick Harvey, did not say that RAF Marham was 'safe'; he has explained some of the range of considerations to be taken into account as part of the UK-wide basing review. The ongoing basing work is extremely complex and as yet no decisions have been made. 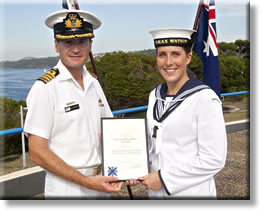 Seaman Combat Systems Operator (SMNCSO) Leigha Aitken receives her Graduation Certificate from the Basic Combat System Operator (Underwater) Course 281 from Captain Jay Bannister, Commanding Officer HMAS WATSON and Training Authority Maritime Warfare. I can see the tears of a proud father welling up in your eyes from way over here Jim - nice! 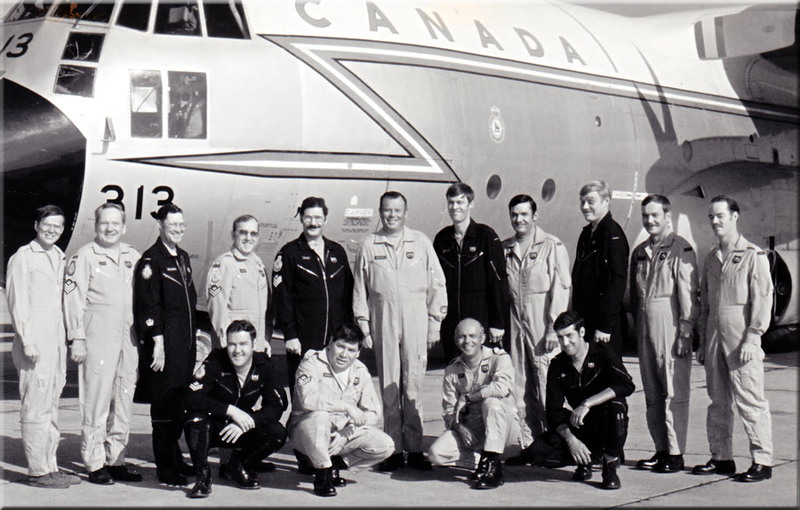 The young Sergeant on the left is Moe Audet in the cockpit of the C -130. I am not too sure who the young lady is on the right, maybe somebody out there can help me on the name. Also, Moe is a very talented painter, he painted a wall mural in the passenger terminal at 1 AMU Edmonton. 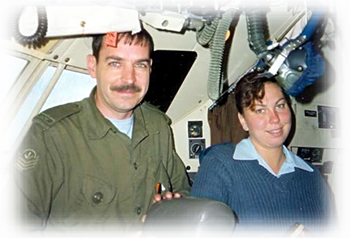 Thanks for the Mystery photo that was taken in 91 at CFSTM Traffic Tech School in Edmonton with a female student. I know I have a picture of the mural somewhere and if I do find it i will forward it to you. This tribute to the men and women who fought in the Battle of Britain will appeal to a range of people. Released for the 70th anniversary of the battle, the album is full of the pomp and ceremony generally associated with the armed forces. This and a couple of famous speeches by Winston Churchill will speak to historians and military enthusiasts, and the combination of brass, woodwind and percussion typical of military bands will have its own attraction for fans of the genre. Traditional ceremonial numbers like Battle of Britain March, No.4 Pomp and Circumstance and RAF March Past are mixed with more frivolous tracks such as Wind Beneath My Wings. New Zealand's own Hayley Westenra features in a classic rendition of Danny Boy. 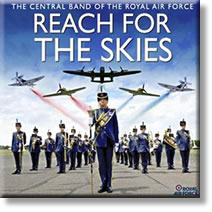 It isn't light or cheerful listening, but Reach for the Skies is a rousing collection of music that takes the listener back 70 years. Many thanks to those of you who expressed concern. There is a great sense of relief in Queensland this morning. Whilst there is, of course, much damage there seem to have been no casualties which is remarkable for this was about as violent as a cyclone gets. You will appreciate that we are well south of the affected area. The concern for everyone is that the land is already sodden, the creeks, rivers, catchments and dams full to overflowing and that this storm dumped 300mls yesterday alone. It seems certain then, that we shall see more widespread flooding. The only effect this is likely to have on us is to put the two bridges in Maryborough out of action again and effectively cut us off as happened last time. Compared with the trials and tribulations of those up North this is minor… and one for which we are well prepared. The only problem is that our toes are beginning to web!! To: Jack Riley, Urangan, Qld. We are both fine and property damage was really minimal. Our Pool pumphouse shed (bit of an antique anyway) was destroyed and a few shrubs terminated but nothing that cannot be fixed easily. Roads are closed but the supermarkets are flying in goods for their shelves. Choice is limited but still pretty damn good. For the first time in a dozen or so cyclones we did not lose power in our street. Most of Cairns did but not here. Same with drinking water. Many in Far North Queensland are on restrictions but not our suburb. Someone up there was looking after us. Thanks for your kind thoughts in checking on us. I haven’t followed this one through but can you let Movers know about it for me please. You will be responsible for the daily optimization of cargo capacity to deliver load factor and yield targets. Must be working closely with other departments to ensure effective and co-ordinated cargo capacity planning and delivery. I will keep my ears and eyes open for anything else. Obviously there are going’s on that we can’t discuss, but there is a Mover’s contingent in-situ out here as a hub for other places not too afar. Most of it is being Civilianised with the likes of KBR, Supreme and now Serco using Ex-Forces and topping up their pensions so creaming the profit’s. The salaries aren’t much better after deductions but the quality of life and the warmth make it worthwhile. Where are the likes of Dave Barton and Ivan Gervais? I know they will be in their 70’s but I went to school with their children and it was only last week that Lorraine Keymer, daughter of Pete Keymer Ex RAF Abingdon PTI and Falcons PJI, contacted me via Friends Reunited to say we went to school 46 years ago (some impression I left!!!) her Mother did stop with us at Tengah in 1972. Anyway have to go, lovely to hear from you. Thanks for the heads-up on the job situation John. I regret to inform you that Dave Barton passed away a few years ago. I do think of both him and your father quite often - wonderful memories! As for Ivan, I'm really not too sure where he might be - perhaps someone out there will be kind enough to let us know. Thought some of the readers may like to see this picture. Living in Stafford I am not far from Hixon where the old Fat Alberts are going to be sent to the great scrap yard in the sky. I was at one of my spares suppliers in Hixon and spotted the 3 of them lined up waiting for the chop, so on my next day off I took a ride over on my Flying Machine and snapped a photo, just for the memories! (I am sure many of your readers have lots more than I have). It does make the heart bleed seeing them like this but time does move on and every old dog has had its day! Great Newsletter keep up the good work.